Rabbi Yaakov Karmel learnt in Yeshiva of South Fallsburg and Brisk. He is currently a Rosh Chaburah in BMG and a R"M at Yeshiva Sharei Orah in Lakewood NJ. 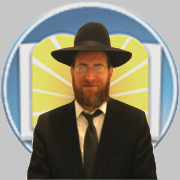 We are very happy to have Rabbi Karmel's wonderful Daf Yomi shiurim on Shas Illuminated.